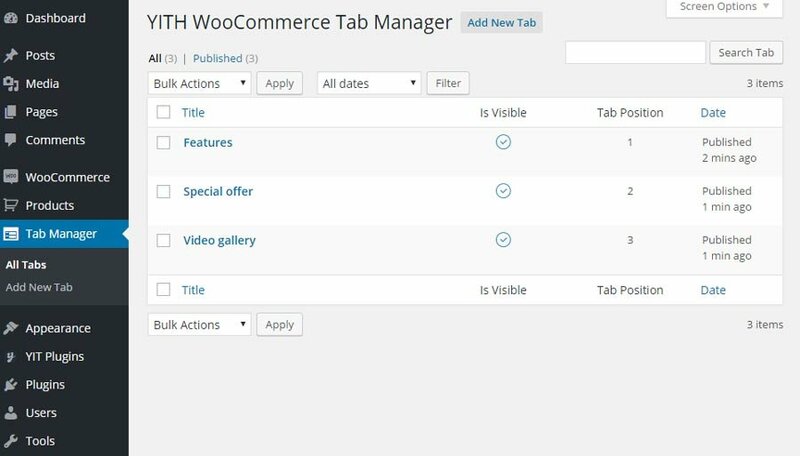 The purpose of YITH WooCommerce Tab Manager is to be free to create how many tabs you want in the detail page of the products. To create your customized tabs, go to the Tab Manager tab that you can find in the WordPress dashboard. Click on “Add new Tab”. You will see the page to add new tab. Enable tab: show the tab in the products; you can use it to hide a tab without dleting it. Tab priority: this option lets you set the order of the tabs, considering that these will always be after the WooCommerce’s default ones (Description, Review). The best way to read this field is: your tab will be the number after those of WooCommerce. Let’s make an example. Create three tabs: Features,Special Offer and Video Gallery. Add the contents for each one and give respectively 1,2 and 3 as Tab priority. This is what your users will see. Active tabs will be shown for all products in the shop. 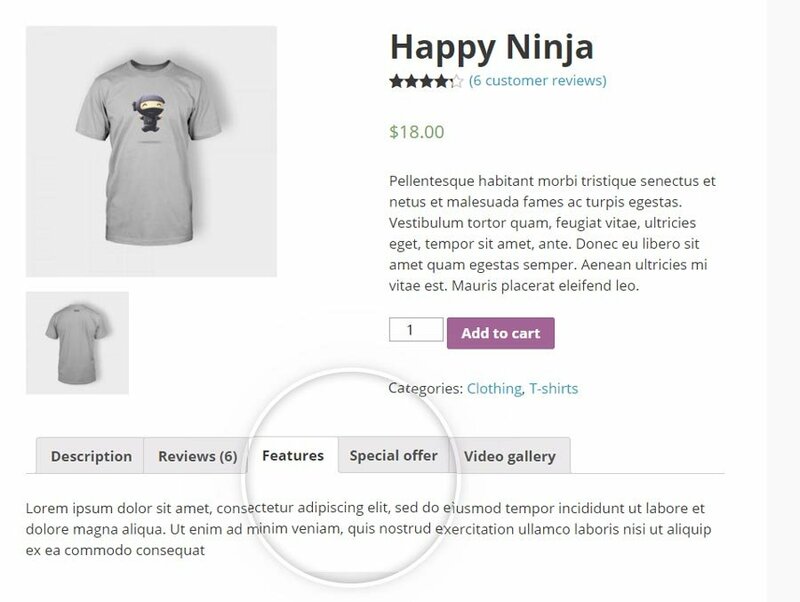 As showed with the example, all the tabs we have created have been added right after the WooCommerce’s default ones. Content of the configured tabs cannot be customised for each single product in the free version of the plugin. However, this is possible if you are using the premium version. You can read more in this page.